This entry was posted in Great books, Self-publishing, Uncategorized and tagged A Few Green Leaves, adapting for the screen, An Unsuitable Attachment, Barabara Pym, breaking the fourth wall, Call the Midwife, Crampton Hodnet, Excellent Women, Frank Underwood, Gift certificate, House of Cards, Jane Austen, little-known favorite authors, out-of-print authors by Sandra Hutchison. Bookmark the permalink. 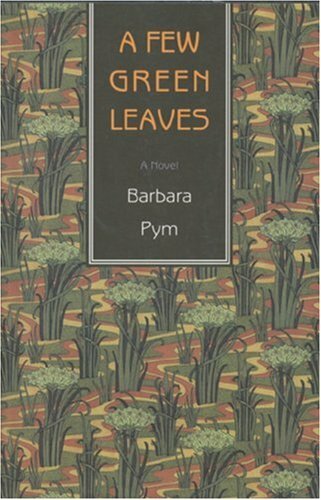 Thank you Sandra for introducing Barbara Pym to others. I became a fan after finding Jane and Prudence in a London bookstore. I was on my own grand tour of Europe in 2012 from my Australian home. Since then my quest had been to read every book and am very thrilled to have found a few books in second hand stores, which was like finding treasure. I look forward to more of your posts. I well remember how hungrily I hunted for more once I got started, Nikki. Thanks for sharing your story!